A fresh produce drive, in partnership with The Food Basket and the Hilo Farmers Market, will be held to provide fresh produce and financial donations that will be distributed to those displaced by the Kilauea lava flow. The event is a continuation of Share a Little Sweetness tour presented by the Sioux Honey Association Co-op, which has beekeeper members across the U.S., including Hawaii. The Hilo Farmers Market will provide a booth to act as a “food hub” to collect fresh produce as well as monetary donations from the public on Wednesday and Saturday; its two weekly Big Market Days. The donations will be collected at a booth managed by volunteers for The Food Basket and Sioux Honey Association Co-op. Editor’s note: Photos and background information are available for download. Sioux Honey Association Co-op beekeeper David Thomas, who had to move more than half of his hives to safe yards because of the lava flow. Jo Ann Abiley, Operations Manager, The Food Basket. Follow along on Sioux Honey’s Facebook and Instagram using hashtags #SueHoneyHelpsHawaii and #ShareSweetness. To assist residents and beekeepers affected by the Kilauea volcano eruption. Bees and their beekeepers are vital to Hawaii food production. Bees account for one in every three bites of food we consume. Wednesday, June 27, from 6 a.m. to noon, HST. 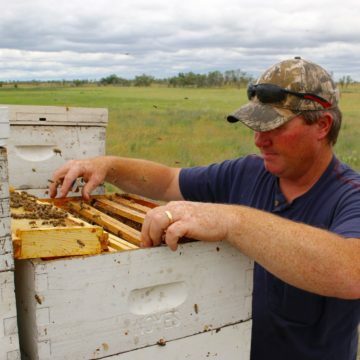 Sioux Honey Association Co-op beekeeper David Thomas will be available for interview at 11 a.m. HST. Another drive will take place Saturday, June 30, 6 a.m. to noon. The Hilo Farmers Market located at the corner of Mamo and Kamehameha Ave., Hilo, Hawaii. 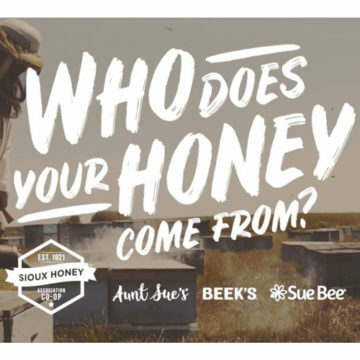 The Sioux Honey Association Co-op began nearly 100 years ago by beekeepers with a passion for pure, honest honey. 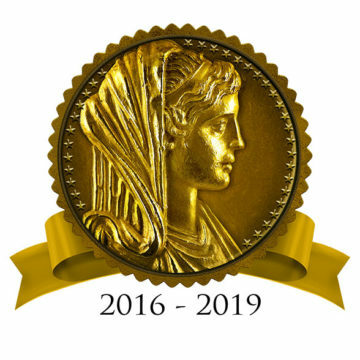 That passion remains today, and every Sioux Honey brand – Aunt Sue’s, and Sue Bee – is held to the standards set in 1921, standards our hundreds of independent beekeepers have helped us keep. Together, we continue to share a little sweetness with those affected by natural disasters while also educating consumers on bee-friendly behaviors, sharing recipes and delivering that same, delicious honey. For more information, visit www.sharesweetness.com. Since 1988, the Hilo Farmers Market is a must-see experience when you are on Hawaii Island where over 200 local farmers, crafters, food producers and retailers sell their products in a festive outdoor atmosphere. Our market highlights the “plantation” days of early Hawaii when different nationalities from around the world came together to help create the unique culture of understanding, delicious food and the Aloha Spirit that Hawaii exemplifies today. We want to perpetuate the Aloha Spirit in conjunction with Sioux Honey and The Food Basket with our Fresh Produce Drive to help those devastated by the recent lava flows. Visit at hilofarmersmarket.com and on Facebook. The Food Basket is the sole food bank for Hawai`i Island with offices and warehouses in both Hilo and Kona. We have been in continuous operation serving the emergency food needs in Hawaii County since 1989. Our mission is to “End hunger in Hawaii County” and serve on average 13,700 unduplicated individuals a month island-wide.